Interested in reading special education cases? Here is a timeline of some of the more important cases. Think back to your high school civics class. We have three branches of federal government. The Legislative Branch is known as Congress (Senate and House of Representatives). The US Congress passed IDEA 2004. Then there is the Executive Branch. That's the President and the 5 million people who work for him/her. In the Executive Branch, we find the US Department of Education. They must enforce the law that Congress passed. The also promulgate regulations that are consistent with the law. The third branch is the Judicial Branch. It includes the US Supreme Court that has 9 Justices. They interpret laws according to the Constitution. The federal judicial system also has lower courts located in each state to hear cases involving federal issues. These special education cases have been decided by courts, based on the law that Congress passed. Can be viewed as the first LRE case! Segregated public schools are inherently unequal. IQ tests used to track students were culturally biased because they were standardized on a white, middle-class sample. It is unconstitutional as it discriminates against low income or African American students. First Amendment rights are available to teachers and students, subject to application in light of the special characteristics of the school environment. Diana vs State Board of Ed. Assessments must be non-biased and given in student's native language. In two landmark California cases, Diana v. State Board of Ed in 1970 and Larry P. v. Wilson Riles in 1971, plaintiffs complained about the disproportionately high minority enrollments in EMR (Educable Mentally Retarded) classrooms. Plaintiffs’ victory resulted in changes in the identification of students with the EMR label and their programs. Mills expanded the impact of the P.A.R.C. case beyond children with developmental disabilities. Must provide services regardless of district's ability to pay. Students with disabilities may be entitled to extended school year. IQ tests were most likely culturally biased, assuming in effect that black children were less intelligent than white children. African American students can no longer be forced into EMR (Educable Mentally Retarded) classes via discriminatory testing. Class action lawsuit regarding insufficient and discriminatory evaluation procedures which led to inappropriate school placements. The case led to defined timeline requirements for identification, referral, and evaluation, development of the program and placement of education. Luke S. & Han S. vs. Nix, et.al. Class action law suit resulted in changes in assessment practices, including pre-referral intervention, curriculum based assessment, and in-service training for assessment staff. First special education case. US Supreme Court defines FAPE. See Endrew F case in 2017 for undated ruling on FAPE. "Congressional preference for educating handicapped children in classrooms with their peers is made unmistakably clear." Court’s first attempt to define the distinction between “school health services” and “medical services.” Related services include health services that do not require a licensed physician. Government cannot zone group homes out of neighborhoods. The denial of the permit was based on irrational prejudice against individuals with intellectual disabilities, thus invalid under the Equal Protection Clause of the Fourteenth Amendment. Parents cannot be forced to waive their right to reimbursement if they place their child in an alternative school from the one recommended in the IEP. Parents who unilaterally change their child’s placement do so at their own financial risk, but they may be reimbursed if the placement is deemed to be an appropriate available option. Zero rejection – a core principal of IDEA, must be adhered to. School discipline case. U.S. Supreme Court clarified procedural issues designed to protect children with disabilities. Schools cannot not expel students for behaviors related to their disabilities. Danny R. R. vs. State Board of Ed. District may pay for student services if needed even when the student with a disability attends a Catholic school without violating separation of church and state. If schools do not provide FAPE and a private school does, the parents are entitled to reimbursement, even if the placement is not a state approved special education school. Landmark victory regarding the right of students with disabilities to be educated alongside their nondisabled peers. The exception for "medical services" from IDEA's related services provision only if services must be provided by a physician. Absent some sort of resolution on the merits, or a judicial determination altering the legal position of the parties, attorney’s fees are not warranted. A school voucher program is not in violation of the Establishment Clause even though the vast majority of participating private schools are affiliated to a religious group. Program did not violate the US Constitution Establishment Clause because it passed a five-part test developed by the Court in this case - the Private Choice Test. The failure of the district to provide critical information is a denial of the parent's right to participate. The district's predetermined methodology violated the IDEA because it failed to consider the individual educational needs of the student prior to determining "appropriate" services. Supreme Court held that the burden of proof in a due process hearing that challenges an IEP is placed upon the party seeking relief. However – this does NOT require that states who place the burden on the schools to change that. IDEA does not authorize the payment of the experts' fees of the prevailing parents. Supreme Court resolved the issue as to whether a nonlawyer parent of a child with a disability may prosecute IDEA actions pro se in federal court. Court said that the parents enjoy enforceable rights at the administrative stage, and it would be inconsistent with the statutory scheme to bar them from continuing to assert these rights in federal court. IDEA authorizes reimbursement for private special-education services when a public school fails to provide a FAPE and the private school placement is appropriate, regardless of whether the child previously received services through the public school. You do NOT have to try the public school before you get reimbursed for private school! 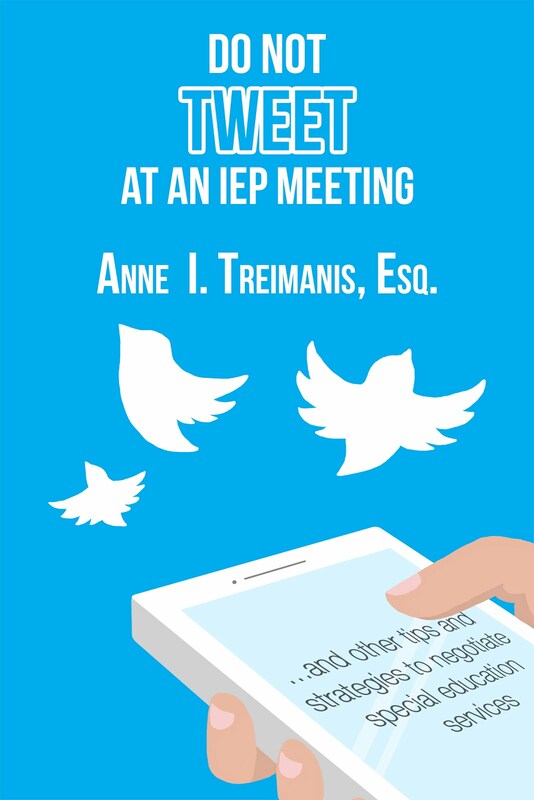 If a parent was not included in the IEP meeting, then procedural process under IDEA was violated, and the IEP is invalid. A settlement agreement written between school and parent, if not honored by school, is a breach of contract that is enforceable by the courts.